In this unprecedented collaboration, twenty-three of the world's favourite crime writers bring you original, co-written short stories featuring their much-loved series characters. 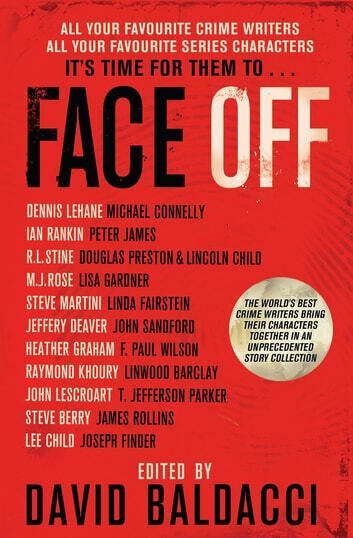 FACE OFF includes the first meeting of Ian Rankin's Rebus and Peter James' Roy Grace; a case for Dennis Lehane's Patrick Kenzie and Michael Connelly's Harry Bosch, as well as a page-turning mystery starring Lee Child's Jack Reacher and Joseph Finder's Nick Heller. Brilliant! A really great read! I don't like short stories; get you in & end too soon. Who could resist these authors & characters?! I enjoyed certain authors team ups in this, but not all. However, Jack Reachers team up with Nick Heller is worth the price alone.